Baldor DC Motors are available in NSW at the new All Torque Transmissions store in Glendenning. All Torque and Baldor have shared a long history in Australia, with a partnership that now spans decades. Being appointed the authorised stockist of Baldor Electric equipment for Victoria saw the relationship grow, so that now All Torque is an authorised distributor for New South Wales as well. All Torque keeps IEC flange-mounted DC motors in stock in Glendenning, alongside some NEMA-mount motors. This means that urgently-required DC motors are available immediately – with short lead times – to anywhere in New South Wales. 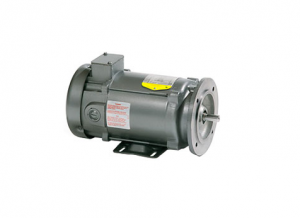 We also keep DC motor controls off the shelf, which can be supplied as a package with the DC motor. Our Glendenning contact details are here.